Don’t just brunch in Melbourne (although don’t miss it! ), there are some fantastic lunches and dinners to be had too. I had a very long list of strong recommendations to tackle, Melbourne’s reputation as a culinary destination is hard earned and well deserved. The emphasis everywhere is on local sourcing, which isn’t a surprise. There is also some terrific fusion and Asian food. Melbourne has the second largest Greek population of any city after Athens, so there is some great Greek food to be had, from the humble post pub souvlaki to more refined fare. There is a lot of excellent Italian fare due to the large Italian immigrant population, but as we have great Italian in London too, I didn’t focus on that on this trip. This is the best of the restaurants that I tried when in Melbourne, and I tried many. Enjoy, and as before, if you have further recommendations, please leave them in the comments. Thanks! Cumulus Up is a convivial wine bar and dining space above Andrew McConnell’s Cumulus Inc in the CBD in downtown Melbourne. A large open space with high ceilings lined on one side with a climate controlled cellar, the cellar is the focus of the room, both in terms of physicality and also the menu which is designed to complement the drinks. The food is full flavoured and characterful. Standout dishes include the duck waffle, foie gras & prune which is a duck waffle with duck in the waffle and foie gras on top, and beautiful lamb ribs with a piquant sauce, sourced from Flinders Island nearby. Bookings are only taken for groups over 7, so get down there early, or be prepared to queue. It is worth it. With the tagline, Messy Greek street food that goes with your drinks, and excellent reviews, Gazi proved an irresistible choice for me. The menu has a selection of Hellenic Dirty food (I tried saganaki cheese, honey, sesame, lemon and crispy lambs brains charred leeks, pickled grapes, which were both terrific), Souvlakakia (I had the duck one with duck, chips, parsley, onion, pear, mustard mayo) and then a selection from the grill, spit and salads. I would have liked to try everything, but stomach space being limited as it is, I will save those sections for my next trip. The giant lokum (Turkish, or I guess in this case, Greek delight) as you enter is worth a mention. Served in slices as you would from a kebab in a spit, it is delicious and a perfect finish. Chin Chin was Melbourne’s hottest restaurant when I visited with people queueing for anything up to and around 2 hours. Based again in the CBD, Chin Chin does not take bookings, however, there is a terrific bar downstairs and you can wait there for your table and have some drinks and nibbles while you do. Serving South East Asian cuisine, the Son in Law Eggs are a must, otherwise you could try the Feed Me option for $66, where they will serve you a selection of their most popular dishes. Mark Best is better known for his Sydney offering, Marque (which is frequently listed as one of Australia’s best restaurants). His Melbourne restaurant, Pei Modern, is pitched as a modern bistro serving more informal food, but the skill set in the kitchen more than hints at its older sibling. Beef puffs are a wonderfully flavourful crisp made from beef tendon (which is boiled, dehydrated and fried); tartare of grass fed steak is excellent, and served with homemade crisps on the side; casarecce pasta, chicken dumplings & reggiano was a perfect comfort food dish with intense chicken dumplings flirting with the pasta in a rich sauce. Dessert mini doughnuts were light as air and divine. Smith St in Fitzroy is the it street in Melbourne right now. Packed with restaurants and bars, with more opening all the time, Huxtable is a relaxed diner serving excellent food in the middle of it. Millet chips with parmesan are light, yet intense; Korean bbq pork ribs, spicy slaw, chilli gherkin are some of the best ribs that I have had. Ribs are cooked sous vide first so that the meat is incredibly tender and comes off the bone, the spiced crust on top finishes them perfectly. For dessert the roasted peanut parfait, brioche crumbs, raspberry jam & sorbet is a delicious twist on a peanut butter and jelly sandwich. Open all day, Huxtable is great in company, as most of the food is designed to share. Although it is not impossible alone. St Crispin is a new and very hot restaurant in Fitzroy. I was tipped off before my trip by my friend Cara in Melbourne, who writes the popular food blog, Gourmet Chick. We sat at the bar and started with some snap, crackle and pop, perfect light pork crackling (not unlike the beef puffs that I had had at Pei Modern in texture, and a similar technique was involved). We opted for 3 courses over the tasting menu, Greenvale pork (served three ways: slow cooked cheek, sliced and crackling) with curried raisin and heirloom carrots was a beautiful dish, even with my normal hatred of raisins (I tasted my friends). Blood orange parfait was wonderful and so pretty with cake crumbs and edible flowers sitting on top. Lau’s Family Kitchen is the restaurant that everybody in the know knows, and where all of the chefs in town for the Melbourne Food and Wine Festival eat at least once. Opened by the team behind the much loved Flower Drum, Lau’s Family Kitchen serves Cantonese home style food in an elegant small restaurant in St Kilda. Fried oysters were perfect, with a thin crisp batter shielding beautiful fresh oysters; crab omelette, one of the dishes to have, made with egg white, butter (lots of) and crab is fluffy and divine. Book in advance, and don’t miss it. There are two Dainty Sichuan restaurants in Melbourne, one in South Yarra and one in Chinatown, I visited the Chinatown one. Portions are enormous (I was unprepared and left with an enormous doggy bag), the food is 100% blow your head off authentic Sichuan, and fantastic. Cumin lamb ribs are unmissable (but be wary of the enormous portions, and if you can, get them to share). Stir fried long beans with minced pork are excellent too. Beer is available but wine is BYO so come prepared. And if you fancy it, there is a Chinese karaoke bar just outside, which I may or may not have spent a long time in. Melbourne is not known for great Indian food, but that is all set to change with the arrival of new upmarket restaurant, Tonka, tucked at the end of a dodgy looking laneway in the CBD. The food is beautifully spiced, yet light, and Indian techniques are applied although they are not wedded to them. Drinks in the bar before or after are great, if you can fit them in. Dishes to try include the tender Punjabi masala lamb cutlet and tuna tartare with rice pappadum, pomegranate, ginger and fresh wasabi. I visited Melbourne with the #TourMelbourne blog trip, created and managed by iambassador with Tourism Victoria, and Visit Melbourne in partnership with Royal Brunei Airlines. Love your take on my home town Niamh. It was lovely to show you some of the sights and I am so glad you enjoyed your time here. Melbourne just spoils us for choice. What you have selected and shown everyone are some beautiful restaurants with some serious food. It’s a tough life. 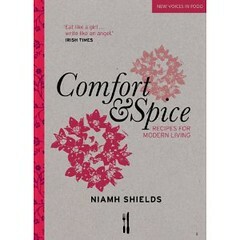 Hi Niamh, new happy reader here! WordPress suggested you to me and I’m very happy with my find! I’ve just come back from a mini holiday there and would be flattered if you had a look at my holiday eating posts – hopefully some ideas for you for next time! After reading your blog,everyone surely are screaming for food! What you had given to travel enthusiasts is a complete food trip. Guess they’ll never have them from any other restaurants. You just showed that Melbourne has a lot to offer, especially when it comes to food. You did a great job on constructing this blog! I think I just gained a few pounds from looking at those pics! You just got me super excited planning my trip to Melbourne !! Haha! Have a great time. I need to get back there.